Canon G1X Mark III – Just Announced! With many features typically found in an interchangeable lens camera and performance and image quality to match, Canon’s PowerShot G1 X Mark III camera establishes itself as the new flagship in the premium G-Series lineup. The PowerShot G1 X Mark III camera breaks new ground as the first Canon compact digital camera to feature a large 24.2 Megapixel* APS-C sensor for detailed images and Dual Pixel CMOS AF for fast autofocus. A wealth of advanced features including a built-in electronic viewfinder, a 3.0-inch Vari-Angle Touchscreen LCD with Touch and Drag AF and built-in Wi-Fi®**, NFC*** and Bluetooth®^ technology offer impressive performance in virtually any situation. Whatever your need, the PowerShot G1 X Mark III camera delivers outstanding results. Don’t let the PowerShot G1 X Mark III camera’s size deceive you. 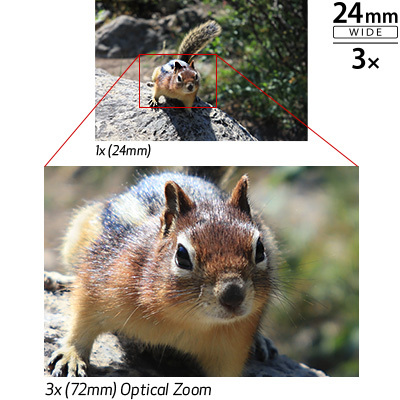 This all-in-one, compact camera features a large 24.2 Megapixel* CMOS (APS-C) sensor, the same sensor found in many interchangeable lens cameras. This sensor allows the PowerShot G1 X Mark III to shoot breathtaking, nuanced images with wide dynamic range, amazing detail and low noise, even at high ISOs. It enables significant cropping and large prints of still images while delivering phenomenal movie files perfect for sharing or projecting. 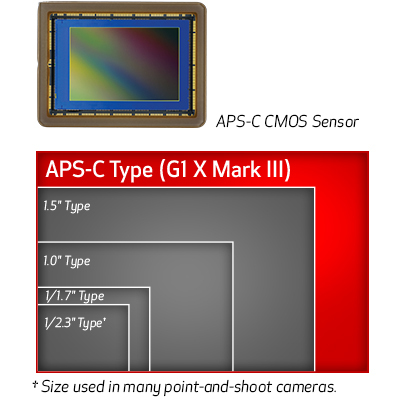 The PowerShot G1 X Mark III camera’s results are in large part thanks to its 3x optical zoom lens. With a range of 24–72mm^^, advanced Optical Image Stabilization and an aperture range of f/2.8 (W) – f/5.6 (T), the lens works in concert with the camera’s CMOS sensor and DIGIC 7 Image Processor to deliver incredibly stunning results. The Dual Sensing IS system helps provide steady images by compensating for body movement and camera shake for up to 4 stops of correction, while the wide maximum aperture helps deliver dramatic blur effects and enables better shooting in dark areas. The PowerShot G1 X Mark III camera is built to be both dust- and water-resistant for reliable operation in almost any number of conditions. With a combination of precise construction and sealing materials around the buttons, lens barrel, screen and battery compartment cover, the PowerShot G1 X Mark III is remarkably well-sealed. 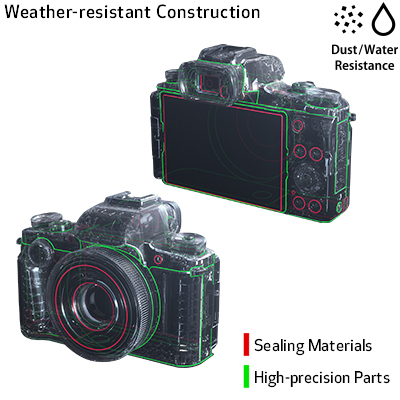 This robust construction helps keep sand, dust, dirt and water from getting into the camera, providing trustworthy performance whether you’re shooting in the rain or at the beach.